Open and Shut? : Alexander Grossmann on the state of Open Access: Where are we, what still needs to be done? Alexander Grossmann on the state of Open Access: Where are we, what still needs to be done? One of a series exploring the current state of Open Access (OA), the Q&A below is with Alexander Grossmann. Earlier this year Grossmann took up a post as Professor of Publishing Management at the Leipzig University of Applied Sciences. To do so he gave up a job as Vice President at the scholarly publisher De Gruyter, returning to research after ten years in the publishing industry. In that time he also served as Managing Director at Springer-Verlag GmbH in Vienna and as Director of physics publishing at Wiley. Prior to his stint in publishing, Grossmann held posts as a researcher and lecturer at the Jülich Research Centre, the Max Planck Institute in Munich, and the University of Tübingen. And it is clearly his openness to new ideas and trends, combined with frustration at the way legacy publishers are responding to OA, which has persuaded Grossmann to combine his new academic post with a different kind of publishing role, as President of a privately owned OA venture called ScienceOpen. Co-founded with Tibor Tscheke, the new venture, says Grossmann, will feed into and help his future research. ScienceOpen is a “research and publishing network” designed to allow researchers to share scientific information, both formally by publishing articles, and informally by reviewing their colleagues’ work, providing endorsements and comments, and updating their own papers. Essentially, it will offer a publishing service that will also enable post-publication peer review, and which will be embedded in a social networking environment. A beta site will go live next month, and submissions will start to be accepted in November. Once the service is properly up and running researchers will be charged around $800 to publish a full article (Although there will be no publication fees this year). Having had experience of both the research environment and of academic publishing, Grossmann has an interesting perspective on OA. Above all, he understands all too well the fear that OA has engendered in publishing houses. And now that he has left traditional publishing behind he is able to view the challenges that scholarly publishers face more objectively than his former colleagues still working in the industry. Readers must reach their own conclusions, but what struck me in what Grossmann has to say in the Q&A that follows is that, whatever their wishes and intentions, legacy publishers seem to be prisoners of their past — imprisoned by the business model of academic publishing they have inherited, imprisoned by their shareholders (where they work in a public company), but above all imprisoned by their need to maintain the high profit levels to which scholarly publishers have become accustomed. It is the latter that publishers believe OA now threatens and which they so fear. Grossmann also paints a picture of a research community struggling to move forward. With their library budgets eaten up by “big deal” subscription contracts, research institutions simply do not have the wherewithal to pay for Gold OA, other than on a small scale. “As long as libraries are caught in the big deals and traditional subscription models, we all have less chance to move forward with OA,” says Grossmann. Whatever the accuracy of Grossmann’s analysis, we cannot but note that it is a less upbeat picture of the current state of Open Access than OA advocates are inclined to paint — e.g. by SPARC’s Heather Joseph in an earlier Q&A in this series. So what could break this seeming impasse? Green OA advocates argue that the answer is self-evident: Researchers should continue to publish in subscription journals and then self-archive their papers — thereby forcing publishers to downsize their operations and embrace OA wholesale, rather than tinkering with it in a piecemeal fashion as they are currently doing. Q: As I understand it, you were until recently Vice President at the scholarly publisher De Gruyter, and you have previously worked for Springer and for Wiley. You left De Gruyter earlier this year in order to start your own OA publishing business ScienceOpen — which I believe will be launched in September. What motivated you to give up a steady job and start out on the risky path of running your own business? Was it a desire to be your own boss and make a lot of money? What it because you do not believe that traditional publishers are best placed to offer OA publishing services, or was it something else? A: Before I decided to leave De Gruyter publishers and the traditional publishing industry altogether, I was appointed as professor of publishing management at the University for Applied Sciences in Leipzig, Germany. Within the framework of that academic position, I will have the opportunity to research and develop new ideas and concepts for the future of publishing, as well as the responsibility to prepare students for that future. Thus I consider the new OA project ScienceOpen as part of this exercise to explore new modes of scholarly communication and publishing. When brainstorming ideas for a new communication and publishing platform for scientists, I bring my experience of almost twenty years in both active research and publishing to the table. Over the years I was listening carefully to the authors and editors of our scientific journals. Unfortunately one lesson I learned after more than a decade in scholarly publishing is that fewer and fewer scientists regard publishing houses as their partners. With the pressures and constrictions of managing a publishing company, it became increasingly clear to me that a new concept for scholarly publishing could be not be implemented by a slight change or some modifications of the present business model and workflows. I had to ask myself where do I see publishing developing in the next 10 years and where does that leave me? Fifteen years ago I was dissatisfied with what the textbook publishing industry had to offer academics, so I started my own small book publishing business. When I find myself thinking “there must be a better way”, I can’t sit idly by or let good ideas become watered down by corporate structures. I have to take the challenge in both hands. Of course, one has to bear the entire risk associated with such a venture. Nevertheless, one has the freedom to develop the concept and run the business without compromises in terms of huge profit expectations from finance managers or lower emphasis on service for customers and partners. This is at least the spirit of what I would like to share with my students in Leipzig. Q: How would you say that traditional scholarly publishers have responded to OA? What do you think, for instance, about their lobbying against OA, and what do you think of the current trend to make it increasingly difficult for researchers to self-archive their papers (e.g. by introducing self-archiving embargoes, or tightening the rules on existing embargoes). A: I have the impression that there is no publishing house which is either able or willing to consider the rigorous change in their business models which would be required to actively pursue an open access publishing concept. However, the publishers are certainly aware of the PR value of Open Access and many are taking steps in this direction by founding new gold Open Access journals, offering hybrid models or acquiring OA companies. All attractive trimmings as long as the profit margins from subscription-based journals are not threatened. Active lobbying against OA takes place in parallel to these cosmetic offerings. I have been involved in many internal meetings with publishers since the early 2000s in which copyright issues, embargo periods, or self-archiving were heavily discussed. The Science/ Technology/Medicine (STM) sector has always been particularly demanding, and even within a publishing house one always remains an advocate for one’s authors — physicists were early proponents of open access with the ArXiv preprint database for example. I always tried to sensitize my colleagues to these demands — only a fair and transparent handling of access issues would result in a positive and persistent settlement between authors and publishers. But at complete variance to my earlier expectations, publishers continue to tighten their rules, for instance for self-archiving and embargoing. The yearly drop in subscription numbers has everyone on edge and the occasional experiments in Open Access are not designed to save the bottom line. One thing that would push authors to make the level of access to their paper a central consideration would be for funding bodies and universities to change their assessment standards to focus on article-level metrics rather than journal impact factors. There are unfortunately a lot of journals out there with only 20-30 subscribers, but even 200-300 libraries world-wide is not that much. If authors were rated on how often their paper is cited, they would definitely want as many people as possible to have the chance to read it. It is telling that no major publishers have signed the San Francisco Declaration on Research Assessment (DORA). The argument of low quality standards in open access journals is a standard one in the repertoire of traditional publishers. They know the value of a scientist’s reputation. However, the fact that a publication is considered as poor or excellent is not associated at all with the way in which the paper has been published: There are examples of journals which consistently contain excellent papers published by means of both subscription based and open access business models. Of the more than 20,000 subscription-based scholarly journals in STM subject fields there are a significant percentage of average or sometimes poor journals which simply means that these journals have a lower quality barrier when accepting manuscripts for publications. On the other hand, there are only a few journals amongst the large volume which routinely publish outstanding or excellent papers. Not every journal has the standard of Nature, both in the subscription based and OA publishing models. So why should a different business model causally result in lower quality? That statement makes no sense but it has been continuously used in discussion about OA. Q: Earlier in this Q&A series publishing consultant Joe Esposito suggested that Open Access will never be more than a niche activity. As he put it, OA will be “a useful, marginal activity that opens up a new class of customers through the author-pays model … OA is marginal in the sense that most research is performed at a small number of institutions. ‘Most’ is not the same thing as ‘all.’ Those institutions subscribe to most (not all) of the relevant materials. So by definition the access granted by OA is marginal to what researchers at the major institutions already have. Nothing wrong with working on the margins, but let’s call it what it is.” I assume this is not a view you share? But what are your expectations for OA in the long term? A: Joe Esposito is absolutely right when he describes the present amount of OA publication in science as marginal. Depending on the statistics used, at present only 8.5 percent of all research published in journals appears to be available as immediate open access (Gold OA). However, having established that fact as an observation of the present status, we should ask ourselves more frankly the reason for this. Many researches want their published paper to become openly accessible instantaneously. They know that they could attract more usage, and eventually get more citations, from better access to their publication. Nevertheless, many simply do not have the funds in their research budget to pay a publication fee. Ideally their library would be able to shift part of their budget from subscription-based access to open access. For this a change in thinking about the role of the library will be necessary. Library budgets are often completely spent on big deals with the major publishing houses. Even mid-sized publishers often go empty-handed. The library knows exactly how much money will be spent for a certain package of journal content for the next forthcoming years, which is nice for them in terms of planning accuracy. However, they have almost no opportunity to change the basis of their subscription during the period of the contract. For instance, libraries cannot cancel certain journals from the deal to save money (in fact they could ask, but they would still have to pay the same as for the full package in most cases). Nicely for publishing houses, the consortia deal or “big deal” model also contains a pricing cap which means the opposite of what it sounds: it increases automatically the costs per package per year by a certain percentage. So let us focus on the simple statement: as long as libraries are obliged to manage their researchers’ budgets in “big” deals to access scientific content, as long as publishers keep those traditional business models, OA publishing on a larger scale than at present will be severely restricted. Q: There has always been a great deal of discussion (and disagreement) about Green and Gold OA. In light of recent developments (e.g. the OSTP Memorandum, the RCUK OA policy, the European Research Council Guidelines on OA and the new OA policy at the University of California) what are the respective roles that you expect Green and Gold OA to play going forward? A: The introduction of “Green OA” should be considered simply as the first response of the publishing industry to the new legal requirements or regulations introduced by funding agencies such as the National Institutions of Health (NIH) in the US. When it was first introduced I expected Green OA to be an intermediate concept to be replaced by a new business and publishing concept in general. At variance to this expectation, the concept has become established as something which shall exist forever. Certainly Green OA cannot be considered as meeting researchers’ demand for an easy way to immediately make their research freely available to everybody who is interested in accessing the results. All these attempts to move ahead should finally result in a single, fair, and transparent way to open access publishing. The message behind any statement about OA should eventually be reduced to what we all understand open access to be: “free availability on the public internet, permitting any users to read, download, copy, distribute, print, search, or link to the full texts of these articles, crawl them for indexing, pass them as data to software, or use them for any other lawful purpose”. If we succeed in developing and implementing a business model which simply fulfils this sentence, we will have the key in our hands. Q: What about Hybrid OA, which most of those in this Q&A series have expressed some concern about? What role do you expect to see Hybrid OA play going forward, and why is it invariably more expensive than pure Gold OA (after all, it allows a journal to increase the revenue it earns through “double-dipping”)? A: I cannot see why we should continue to formulate new models which attempt to combine the classical subscription model with OA publishing. For a certain period of time it was legitimate to use hybrid models in order to immediately react to the demand for OA. Today the transition process has moved on and both publishers and funding organizations should by now have had enough time to develop a new concept. However, I do not feel that such a concept is yet in place, and the present unsatisfactory situation will persist obviously as long as publishing houses and their business models do not change on a broad basis. That said, for “middle class” subscription journals, the number of scientists willing to pay high fees for their paper to enjoy open access status is very low, so the problem is in many cases more a theoretical one. Q: How would you characterise the current state of OA, both in Europe and internationally? A: Worldwide there are very good, but eventually too few examples of successful OA publications: As a physicist, I have carefully observed for example the development of the first OA journal in this field, the New Journal of Physics (NJP) which was launched 15 years ago and obtained a respectable impact factor above 4.0 in 2013. There are also some very exciting new experiments going on such as the eLife journal or the PeerJ and F1000 Research initiatives. But as long as there are only relatively few examples of successful OA journals visible for researchers, OA will not develop the widespread acceptance it needs. For example in China, where I regularly visited some leading institutions over the last few years, OA is not a topic at all, despite the fact that almost 40% of scholarly publications worldwide are expected to originate from China by the end of this decade. Possibly it is not sufficient to continue to launch single new OA journals in individual scientific disciplines. Rather, both the visibility and acceptance of OA concepts among the scholarly community worldwide needs to be increased. The development of a platform concept similar to ScienceOpen for many scholarly disciplines may be one approach, and that is one of the reasons why I launched the project. A: The OA movement should uniformly focus on supporting libraries to develop strategies to modify their budget policies. This should result in having more money available to be spent on OA at their institutions. At least it should be possible to reallocate a part of the present budget which is spent on big deals for subscription journals towards OA in order to meet the costs of Gold OA publications. As long as libraries are caught in the big deals and traditional subscription models, we all have less chance to move forward with OA. Although this task sounds of a technical nature, it seems to me to be the prerequisite to providing the necessary budget for more OA publishing today and in the future. Q: Do you think that OA inevitably leads to conflict and disagreement between legacy publishers and the research community? Certainly in the wake of the failed attempt to get the Research Works Act passed in the US there appears to be growing disenchantment with traditional publishers amongst researchers (which you hinted at earlier). And in the first Q&A in this series, palaeontologist Mike Taylor argued that legacy publishers “are not our partners, they're our exploiters”. Is it that researchers, librarians and research funders expect more of publishers than they can reasonably deliver? Is it that the profits of scholarly publishers are, as critics argue, excessively high? Or is there some other reason for this disenchantment? A: As reported in the current market survey of STM journals the business in 2011 was valued at around $10 plus billion, with long-term stable growth rates and significant profit margins predicted. It is evident that nobody involved in a profitable business like that is going to simply withdraw any of their activities for moral or charitable reasons. As in any other industry, participants of an open market will only react either to changes in customer demand, or changes in the general conditions that constrain certain business practices. To be very open: In a free market economy, it is legitimate for entrepreneurs or companies to achieve profits with their business. We should therefore not focus our discussion on the question of whether a certain profit margin is too high, which we do not do for most other industries in real life. Otherwise the discussion will never result in a constructive dialogue between partners. Therefore we should concentrate our common vision on the development of new business models in publishing to reflect the needs of the market, i.e. of researchers. The publishing industry is in an ideal position to develop such a model because it has thousands of experienced and trained employees working for it. Unfortunately, this industry has made no serious attempt thus far to move toward that direction and obviously it continues with its strategy to decelerate rather than accelerate the transition to OA. I would have expected that one or more international publishers would have recognized a unique opportunity rather than waiting for somebody else to take that chance, possibly somebody else from outside the traditional publishing business. In all this discussion, however, it is important that we do not lose sight of who the real customers are. Researchers develop the science behind a publication; they create a document to summarize that research; they maintain the level of scientific quality by peer-reviewing; in many cases they provide a final typeset version of their manuscript; they access and read the content; and finally they decide which content they need and which they do not. In order to enable scientists to continue doing these tasks as efficiently and straight-forwardly as possible, a professional partner (not necessarily what is today called a publisher) is needed, one that can provide the necessary technical and conceptual requirements. With scientists doing so much of the work, it is easy to see why they might sometimes feel that publishers are taking them for granted, as discussions focussed on library budgets and government mandates do. And I have often heard the sentiment that publishers are not necessarily fighting for the rights of their authors. Q: The seeds of the OA movement (certainly for librarians) lie in the so-called “serials crisis”, which is an affordability problem. It was this affordability problem that created the accessibility problem that OA was intended to solve. Yet Esposito believes that OA will be “additive, not substitutive”, suggesting that OA will see the costs of disseminating research increase rather than decrease. OA advocates, meanwhile, argue that OA will be less expensive than subscription publishing. What are your views on the question of costs? Does cost really matter anyway? A: The present business models of subscription based publishing forces librarians to spend most of their budget or all of their budget on package deals with the major publishers. Just to illustrate the situation: For some libraries, in particular smaller libraries which cannot afford all the journals they need, publishers offer to take their whole budget to get access to the complete list of that publisher. As a result, no money is left to buy the publications of other publishing houses, or other content resources. However, those libraries accept that situation as the lesser evil. It is apparent that such a situation and such a business practice is totally unacceptable in terms of providing researchers and their institutions with the freedom and flexibility to access the information they need for their work, and to make the outcome of that research available for everybody worldwide working on the same problem. I am confident that it simply requires one or a few key scholarly institutions to make a significant change in how their libraries acquire and fund their research content. Fortunately, the good news both for researchers and their institutions is that this change will result in a lower cost per article — as has been argued by other OA advocates. But this will only work efficiently if the OA publication fee costs some hundred dollars rather than several thousand. Q: What are your expectations for OA over the next 12 months? A: Having carefully observed how many new initiatives and platforms have been launched in the last 12 months offering OA publication I would expect to see more awareness of OA publishing, amongst both researchers and their institutions, and funding organisations. As with most of the changes in the economy and in industry which we have experienced in the last few decades, a change starts smoothly and then impacts vigorously at a certain moment in the market. You can easily imagine what I mean if you consider the rise of the automobile at the beginning of the last century, the tremendous success of microcomputers in the eighties and of smart phones in the nineties, and finally the exponential growth in social networks over the last few years. I expect that impact very soon and it is up to participants in the scholarly publishing business whether they experience it as a collapse of their traditional operations or as the beginning of a new era. 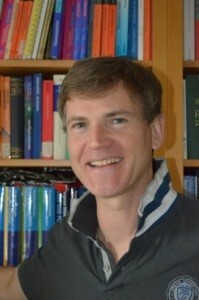 Alexander Grossmann is professor of publishing management at the University for Applied Sciences, Leipzig, and President of ScienceOpen, a publishing and network start-up venture for scientists. Prior to taking on his current academic appointment, and co-founding his new business, Grossmann worked both as a physicist and a publisher. For 10 years he worked as a researcher and lecturer at the Jülich Research Centre, the Max Planck Institute in Munich, and the University of Tübingen. Then in 2001 he entered the scholarly publishing industry, working first at Wiley-VCH and Wiley-Blackwell (where he was Director for Wiley’s physics publishing branch worldwide), and subsequently at Springer (as Managing Director) and then De Gruyter (as a Vice President). During his period as a publisher Grossmann dealt with all areas of scholarly publishing. Earlier contributors to this series include palaeontologist Mike Taylor, cognitive scientist Stevan Harnad, former librarian Fred Friend, SPARC director Heather Joseph, publishing consultant Joseph Esposito, de facto leader of the Open Access movement Peter Suber, and Open Access Advocacy leader at the Latin American Council on Social Sciences (CLACSO) Dominique Babini. Alexander is an "Occam's Razor" kind of guy; but simplest does not mean easy. Having similarly started a Pubco, when I realized the legacy publisher I worked for would never significantly innovate in business models because it is "imprisoned," I appreciate the lucidity of the argument. Libraries need to shift budgets toward Gold OA, but are there other, more radical business model innovations this space could embrace?